What is a "tree climb"? Our version is simply that participants can select from two options, Level 1 or Level 2, based on their experience with climbing. No experience is needed for either option; however, Level 2 requires participants to learn the basics of the ropes system to pull themselves up the tree. Level 1 is essentially an "elevator" ride up into the canopy. Level 3 allows for an overnight stay up in the tree canopy. Several options and locations are available depending on your desired adventure and capabilities. We offer simple climbs in local school and city parks and more extensive expeditions to the depths of the mountainous forests. Our guides are highly skilled and experienced climbers and Arborists in the area who bring their love for the trees to share with participants via a no-trace approach. There are several options for scheduling a climb: 1) We partner with local groups and municipalities and schedule events in Oregon and Washington where you can simply register as a participant, 2) Locate an EOG hosted event in your area and register, 3) Contact EOG directly if you have specific travel dates when in the area of Oregon or Washington and we can discuss options, packages, etc. All participants will sign a disclosure prior to commencing their climb; check out our general safety information. ​A portion of all proceeds benefit a non-profit organizations committed to the preservation of our trees and forests. EOG also offers charitable donations to groups via partnerships for large group events for their members, community or students. Amazing people that help bring epic experiences to the average person, climbing big old trees will change your life!!!! It is likely that nobody understands trees, and how to enlighten people on the importance of them like this lad and his new outfit can. Alleviating the nature deficit disorder one tree at a time!  A couple of friends and I have recently had the pleasure of hanging out with the guys at Expedition Old Growth. These guys have a really cool vision and an amazing amount of respect for trees and forest ecology. I'm not usually one for these kinds of posts but spending time with these guys and seeing what they are all about has definitely left an impression with us lads. LEVELS - WHAT TYPE OF GUIDED CLIMB WOULD YOU LIKE? We currently offer three climb options allowing for a range of experiences for the novice to experienced adventurer. Each option requires no prior climbing experience; however, the higher the level the higher the physical exertion. Package options for groups are most common; however, individual or small group options can be tailored to fit your desired adventure. An excursion offering novice climbers an experience in the canopies of local forests. Join others eager to reach the tree’s canopy in a group setting of at least six others. This is a no-climbing, controlled elevator ride up the tree via counter weight by guide or other group member. Private parties of less than 6 people are available; ask for details. ﻿Get ready for an amazing, yet challenging, adventure where participants will scale a tree by use of modern and ethical tree climbing techniques. Best suited for those with a high level of fitness who are keen on the idea of working up a sweat to reach new heights and relish the unforgettable view. Generally group of three to six people. Private parties of less than 3 people are available; ask for details. In addition to the adventures of the Level 2 experience, spend a night in the forest sleeping within the canopy. An active participant in the leave-no-trace approach, learn the methods of conservation and protection, while enjoying time within the forest. Use of modern and ethical tree climbing techniques to climb into the canopy and eventually into private sleeping quarters high above the forest floor. Fear of heights is a deal breaker! Generally group of two to four people. Private party for one is available; ask for details.